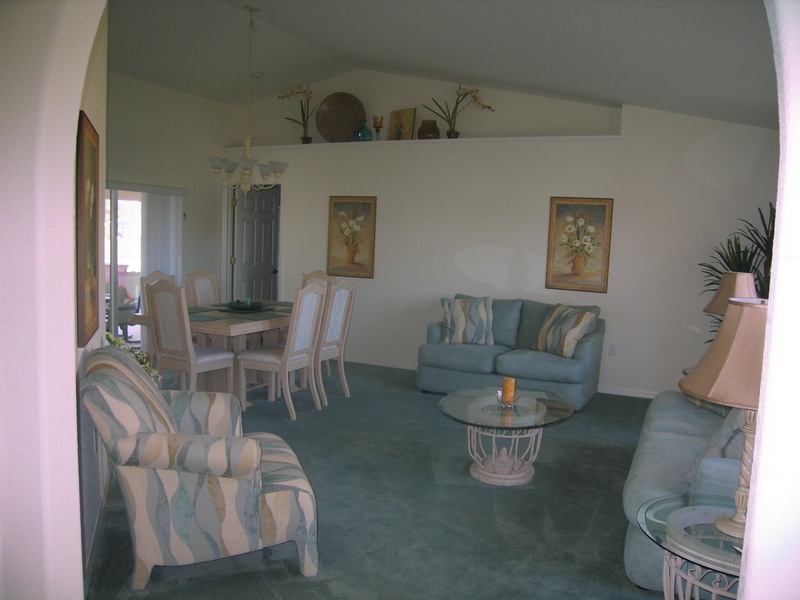 Welcome to the Pine Valley Creek website, promoting a lovely 4 Bed / 3 Bath (2 Master Suites) vacation villa situated on Florida's Gulf Coast . South West facing our villa is in a peaceful location with stunning views overlooking Pine Valley Creek, and a Nature Reserve. Englewood has over 27 miles of white sandy beaches, many of which are almost deserted during the week. 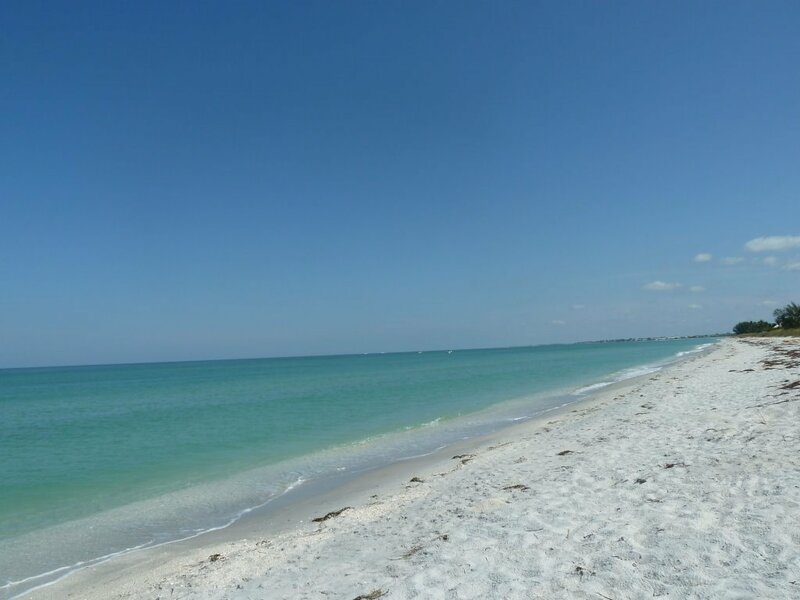 With Manasota Key to the North and Boca Grande to the South, our villa is perfectly located 15 - 20 mins drive to these fabulous beaches where pelicans fly overhead and dolphins swim in the sea. Englewood is one of the last parts of the Florida coastline to be discovered and is being developed on strict guidelines. Nearby Port Charlotte caters for all those craving retail therapy with a large Mall, whilst the Outlet Malls of Sarasota to the North and Fort Myers to the South are 50 mins drive away. Rotonda consists of many beautiful homes, which have been built on large lots amidst natural lakes, canals and golf courses. Many Americans and Canadians have made this area their home and you will be staying in a quiet and peaceful residential community. 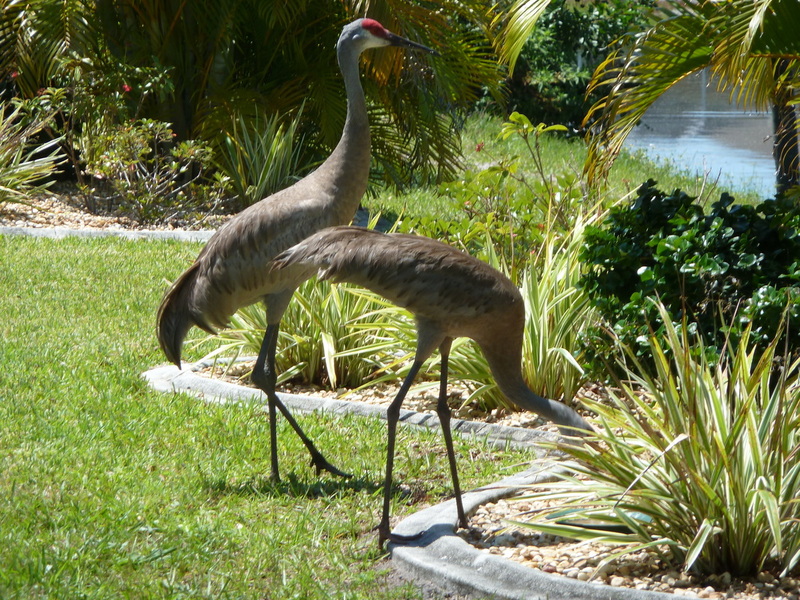 It is also home to an array of Florida wildlife including pigs, raccoons, bobcats, turtles, alligators and a variety of birds. A nature reserve and conservation area has been maintained in the centre of the Rotonda, this part of South West Florida is known as 'Real Florida'. With stunning beaches, fantastic wildlife, golf and a array of nearby attractions, surrounded by numerous restaurants and excellent shopping opportunities, everything is close to hand. 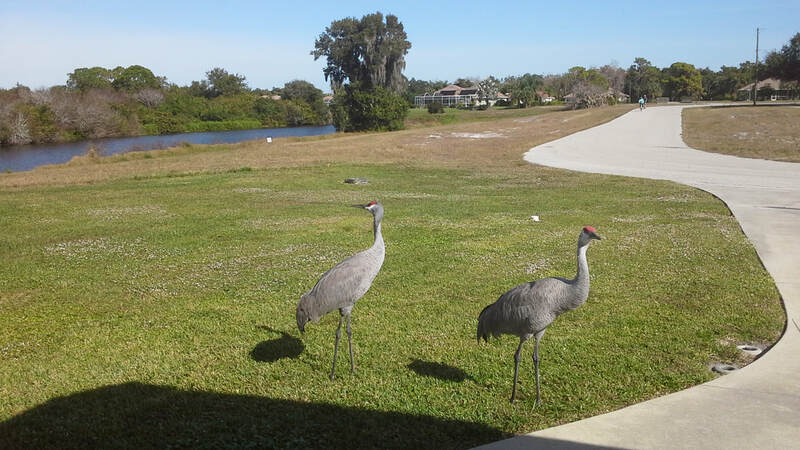 Some times I think we have bought a zoo, such is the range of animals we have seen, just sitting on the Lanai wandering thru the back garden or coming out of the Nature reserve. 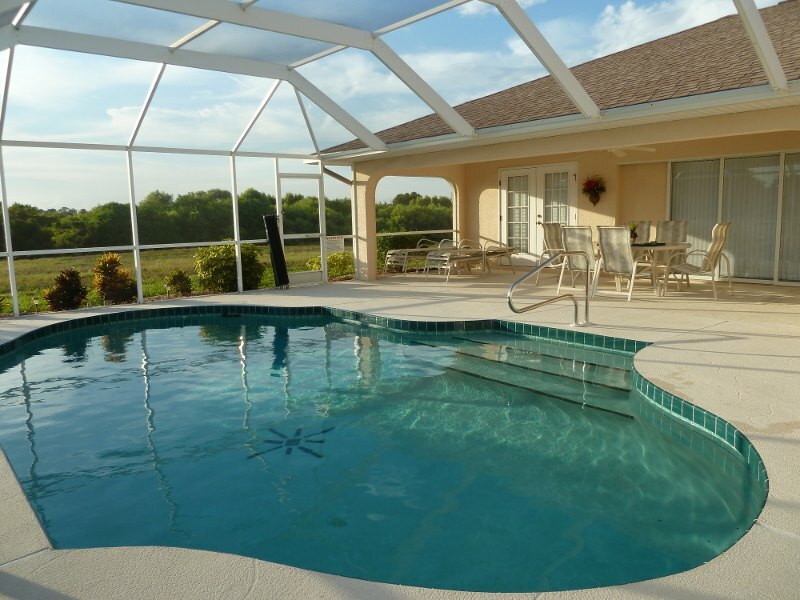 Our villa is ideally placed to explore the Gulf Coast of South West Florida with Sarasota, Anna Marie Island to the North and Fort Myers, Naples to the south to name a few of the great beach resorts which are an easy drive away. We have a very helpful and efficient Management Company, who look after the maintenance of the property, which includes weekly pool service, lawn maintenance and cleaning both before and after your stay. In addition to office hours for general help and advice about the villa and the area, they are available 24 hrs a day in case of emergencies. Lanai overlooking the Canal and Nature Reserve. 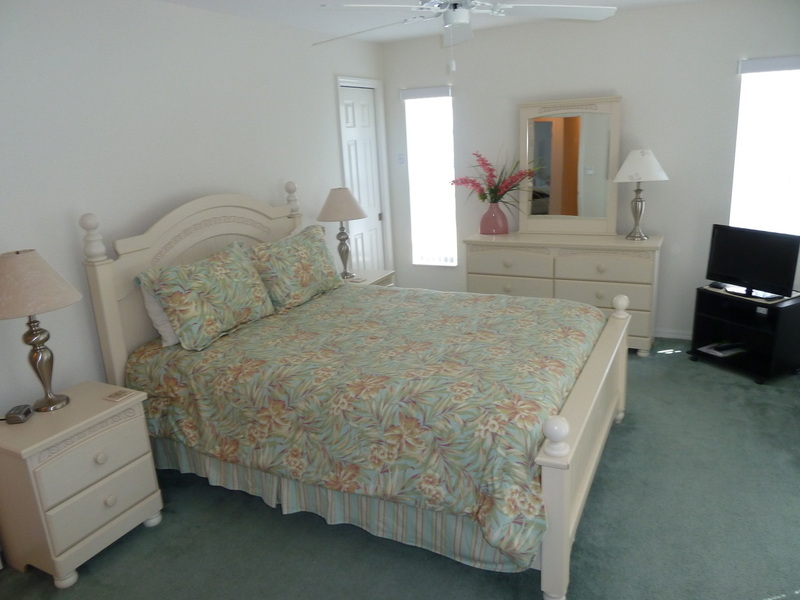 Queen Master Bedroom, looks out to the pool area.